Your New Sauna will be delivered via Common Carrier (tractor trailer with a lift-gate). The price includes residential delivery. The shipper will call to schedule a delivery appointment. Someone must be on hand to inspect and sign for the sauna. The shipper will take your sauna from the truck and place it on the ground (often called curbside delivery). You may want an extra person to help with the various boxes. Looking for Infrared Saunas in Canada? 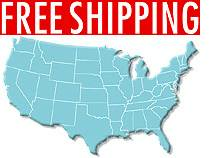 We ship to every zip code within the 48 states using an 18 wheel semi-tractor trailer equipped with a lift-gate. There may be extra an charge if an 18 wheel semi-tractor trailer cannot access your location, or if a ferry is required to reach your destination. If this is the case, you will be notified right away and you will have the option to accept the additional fees or cancel the order. If you are concerned with your location, please contact us prior to making the purchase.You will also be able to track your shipment online. 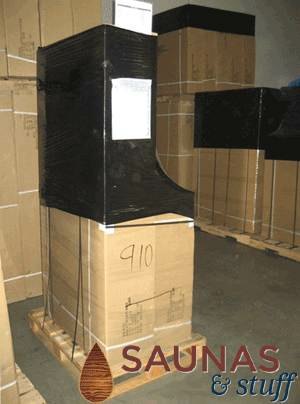 Infrared Sauna Kit, boxed and wrapped on a shipping pallet. Ready to ship to you!! Production time for a hot rock sauna is about 2 weeks. From there, shipping details are the same as for infrared saunas.